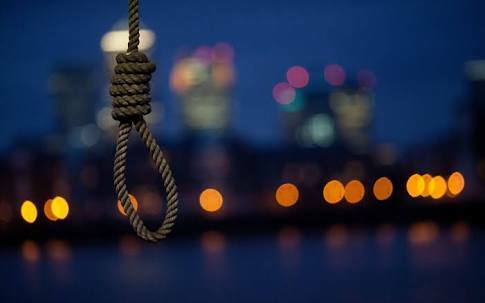 A director in the Kogi state Civil Service, Edward Soje, has committed suicide. The 54-year-old grade level 16 officer in the Kogi state Teaching Service Commission, was found dangling from a tree at the mammy market at the Maigumeri barracks, the Nigeria Army Command Record in the state today October 21st. The sad incident came just 10 days after his wife of 17 years welcomed their set of male triplets at an Abuja hospital. They had been childless since they got married. The deceased was being owed 11 months’ salary as at the time he took his life. According to family sources, he had been going through serious financial crisis due to the non-payment of his salary. He had even sold off his only car and a three-bedroom bungalow he was building at Otokiti area of Lokoja. He sold the building which was at lintel level at a giveaway price of N1.5 million in April to meet urgent family needs. He became under serious pressure when his wife, also a civil servant, put to birth a set of male triplets at a private hospital in Abuja through a caesarean operation. The deceased remained in the hospital to look after wife and children until Oct. 13, a day before the naming ceremony when he decided to come back to Lokoja. When he got to Lokoja, he went straight to a commercial bank where he had N30, 000, collected it and then asked that the account be closed. He immediately left Lokoja for the hospital in Abuja where he rejoined his wife and handed over the N30,000 cash to her.On Oct. 14, Soje and wife were joined by two pastors and few relatives to perform a brief naming ceremony for the triplets in the hospital. He later left the hospital on the pretext that he wanted to pick few things from the wife’s apartment in Abuja with a promise to come back quickly. But Soje did not return for hours and did not pick any of the many calls made to his telephone line, a development which forced the wife to send somebody to the house to go and ascertain what was happening to him. “Psalm 121:3 God will not suffer your foot to be moved: He that keepeth you will not slumber. Amen. You and the three boys, the God Almighty will keep you and prosper you, amen. I love you,. When the wife was informed, she quickly contacted some people to begin a search for him in Abuja while relations and friends in Lokoja were also informed of the development. Efforts made to locate him did not yield fruit until relations decided to visit hospitals in Lokoja, the decision paid off eventually on Friday, October 20 when the corpse of Soje was found in the morgue of the Federal Medical Centre, Lokoja. A member of the family said that the management of the hospital explained to them that Soje’s corpse was brought in by the police, who found it dangling on a tree.